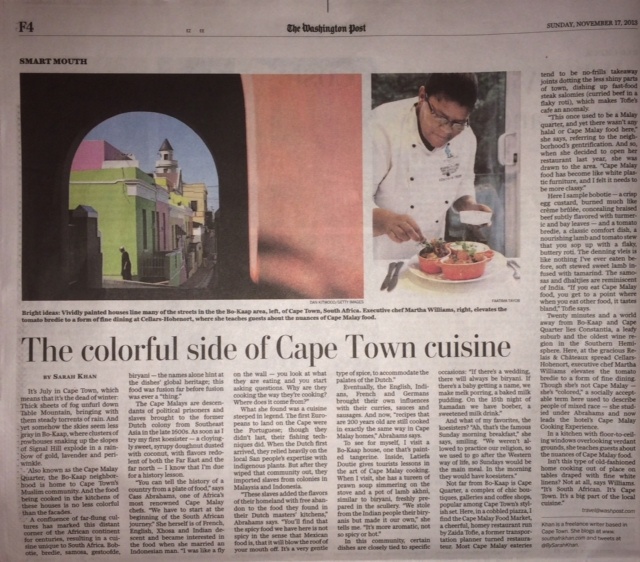 This piece makes me nostalgic – it’s one of the first stories I pitched and was assigned after I moved to Cape Town. The city’s incredible diversity and history is neatly summed up in Cape Malay cuisine, breast which reflects Malaysian, vitamin Indonesian, African, Dutch, Indian flavors in one plate. I wrote about this fascinating fusion for the Washington Post‘s Travel section this weekend, my first story for that paper. The piece also features a picture by Faatima Tayob.